Standard Names: King Prawn, Tiger Prawn, School Prawn, Banana Prawn, Black Tiger Prawn, Endeavour Prawn, Bay Prawn, Royal Red Prawn. 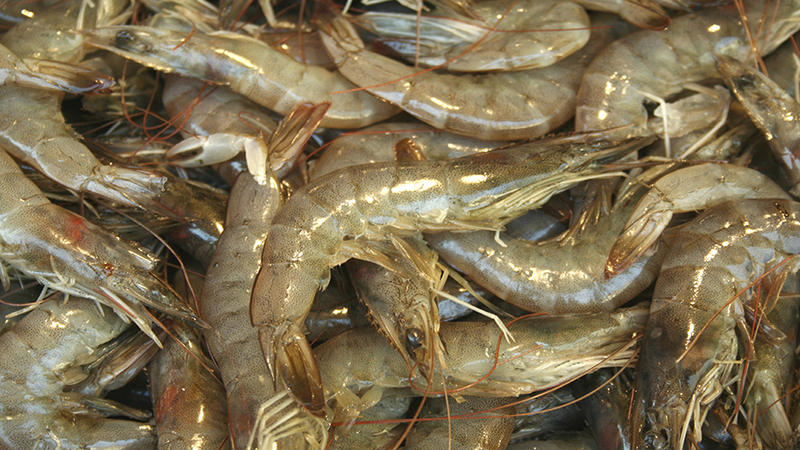 Because their meat is highly perishable, prawns are usually frozen or cooked onboard boats soon after capture. Prawns treated in this manner and defrosted properly can be some of the best available. Raw prawns are sold as ‘Green Prawns’. Increasingly popular on menus, 'CRYSTAL BAY PRAWNS' are Aquacultured Banana Prawns grown in land based ponds by 'Seafarm' near Innisfail in Northern QLD. They are one of the few prawns available in Australia that haven't been frozen, and are available year round. Western King Prawns from the Spencer Gulf Prawn Trawl Fishery in SA have been assessed as Sustainable by the Australian Conservation Foundation's 'Sustainable Australian Seafood Assessment Program'. They are also a Marine Stewardship Council accredited sustainable fishery. Wild Caught Prawns and Imported Farmed Prawns are on Greenpeace Australia Pacific's Seafood Redlist. Imported farmed Prawns cause destruction of important habitats such as mangroves. Wild-caught prawns are fished using damaging trawling techniques that are responsible for massive bycatch.